What do I think of Phil Arms’s self-published book? Let’s plunge into the Deeper Waters and find out. I have been a gamer for as long as I can remember. My gaming life started with seeing a Colecovision when I came home one day under the TV in the living room and asking what it was. From then on, I came to enjoy games. They’ve always been there. Not just video games. Any games. Board games and card games can still be very enjoyable to me. Now I am married and active in the ministry of Christian apologetics. It has been over three decades since I got my first Nintendo. My love of gaming hasn’t changed. I could be playing Words With Friends with some friends or going through a daily logic problem. I also see it as a shaping influence on me. It is growing up in gaming that also shaped my desire a lot in the battle of good versus evil. Of course, this was also coupled with my Christian faith. My parents raised me up in the church and I was there every Sunday and in the evenings and when I got out of high school, the subject I knew best was the Bible so off to Bible College I went. Today, I really see apologetics as doing in reality what is often done in fantasy. It is the battle of good versus evil. It is fighting to spread the Kingdom of God. There are real people out there who seek to destroy Christians. I debate atheists most every day. Recently, someone sent my wife and I a video about religion and Pokemon. It is no secret that Pokemon, like many other fantasy industries, draws upon mythological themes found all over the world. This is not a problem to me. I find it fascinating. In looking at this video, I wondered if anyone might have actually written on this from a scholarly perspective. Sadly, I found nothing, but I still think it could be an interesting project for anyone interested in this. I would not be surprised if some Poketubers on YouTube have engaged in such research. What I found on Amazon was Phil Arms’s book instead. I laughed some and before too long, I decided why not see what is said? Sadly, going through, much of what I think is confirmed. Many people who write about this write with a fear that our children don’t understand fantasy from reality. I suspect it is such writers who do not understand fantasy from reality. Let’s say something positive upfront. We should all applaud the effort to raise our children Christian. We should also applaud the effort to monitor their entertainment choices. I have no problem with that. If a parent has forbidden something like Pokemon or Harry Potter or such from their home, the children should respect that. Some will. Sure. Some won’t. When this happens, they will wonder what else the church has lied to them about. (Note it is not a lie, but they often perceive it as a lie. A lie is not merely an untruth but something that is told as true knowing it is false or vice-versa. It is intentional.) Inerrancy and young-earth creationism are two other beliefs like this. I have seen some people ready to throw Christianity out the window because they found one “contradiction” in the Bible they couldn’t reconcile. Note I say that last part as a believer in Inerrancy properly understood. I believe in it so much I have been a co-author on two eBooks on the topic. Those are Defining Inerrancy and Contextualizing Inerrancy. While I do hold to Inerrancy, a contradiction in Scripture would not cause me to abandon Christianity for a moment. Jesus still rose from the dead based on the historical evidence. I fear that Arms’s work could be doing more of the same. He also gets a paranoia in Christians that I do not believe is fruitful to good Christian discipleship. The lines are too blurred as great writers like C.S. Lewis and J.R.R. Tolkien and others are not mentioned who often engaged in writing of a fantasy nature. If anything, this could lead to a further idea in an atheistic worldview reaching children. On page 16, Arms tells us that much of the evil of Pokemon comes from “the deeply held belief system of some personalities at the very core of the Pokemon industrial complex.” Little problem. He never tells us who these people are. This is quite important as well since these are accusations of moral turpitude of the people involved. We should not make such claims unless we can name the people and specifically cite the references. Does that mean that all people involved are perfectly angelic and devout Christians? Not at all. Yet that does not mean they are definitively involved in a satanic plot to control children. These claims need to be backed. Pokemon was actually created by a man named Satoshi Tajiri. This is someone I have a great respect for also because he and I have something in common, namely Aspergers. The game was based largely on Tajiri’s love of bug collecting as a kid. This is something common with other original game makers. He was also mentored by Shigeru Miyamoto. You may not know who that is, but you have probably heard of some of his creations. These include Super Mario Brothers, The Legend of Zelda, and Donkey Kong. Actually, Zelda hits home with me. Link, the main character, was one of my first heroes growing up. I remember going to the barber when I was young with a picture of Link from Zelda II and wanting a hairstyle like his. I had a wooden sword and shield for me that my Dad made for my pretend adventures. My wife today has given me two ocarinas. I found out later that Miyamoto based Zelda on his love of outdoor adventures and told people when he signed things like instruction manuals to the game, “On warm days, play outside.” Also, I have a friend who has written a book about The Legend of Zelda and Theology. By the way, let’s state something here also. If the only way you can present the Gospel in media to people is something explicitly Christian, you don’t know how to really present the Gospel that well. It has been said that wherever you have a hero and a villain, somewhere you have the Gospel. This should not surprise us. Christianity is the cry of the heart of man. It is the truth that we all seek. On pages 23-24, Arms mentions doing research on a number of websites. The problem is that throughout this book, he consistently does not cite the sources. He will give quotations, but he won’t tell many times where they are found. Internet searches I have done for these quotations has been fruitless and as one who has seen several made-up quotations, I remain skeptical. On page 24, he refers to Ash as a character in the game. This is false. Ash is a character in the anime. Some could see the character Red as referring to Ash, but it could just as well refer to the main character in the original game. Those of us who play the game and understand it will have a reason to immediately discount Arms as not knowing what he’s talking about. On page 25, Arms has a problem with the idea of becoming a Pokemon master. After all, Master is a word from the New Age movement. This would be a guilt by association and Arms seeking to find what he wants to find. The creatures in Pokemon, referred to as Pocket Monsters, are often seen as pets. Pet owners are often referred to as masters. Slaves in the Bible are said to have masters and Jesus is said to be our Lord and Master. One can go to College and get a Master’s in a particular field of learning or play Golf and participate in the Masters’ Tournament. If you host an event, you can be referred to as a Master of Ceremonies. Why choose the negative term and not the other terms? Why read into a term something not necessarily there? He also says Pokemon trainers gain powers in the game. This is false. Trainers acquire new Pokemon who have new abilities, but the trainers themselves do not gain powers. On page 26, he states that an early quest is to capture a Kadabra. This is also not accurate. I shared this with my wife and we both laughed together wondering when this quest was in the game. It is also not in the anime. There is a quest in the anime to defeat Sabrina’s Kadabra, but not to find one of your own. Arms says there is an emphasis in Pokemon on teaching children to fight, kill, poison, and use occultic and psychic powers to reach their goals. One of the first rules of understanding a work of any kind is to try to figure out the world it is set in. Is it in a world meant to be like ours? Now there are times that sometimes one could think that it’s set in our world, such as in a movie when Ash says most Vikings lived in Minnesota, referring to the football team there. Still, do children today see the world of Pokemon like that? Doubtful. Children don’t need fantasy stories to believe in magic. We already do. Fairy tales are full of it. They lock on to what children already know. As Chesterton said, fairy tales are not here to tell children dragons exist. Children already know they do. They exist to tell us that dragons can be beaten. Lewis also referred to the spell of naturalism and that we need a stronger spell to overcome that. One can understand the concern of people like Arms, but would they prefer fantasy with no extramaterial elements whatsoever? (See my article on why I do not accept a natural/supernatural distinction.) He could find this in much of science fiction like Star Trek. Keep in mind that many of us are mature Christians who can enjoy series like Star Trek and Star Wars (Which I don’t watch personally on either account) and still not agree with the worldview, but we like the story. There is even a series now called Star Trek Continues starring Vic Mignogna. Mignogna is a popular anime voice actor who has been at numerous anime conventions. My wife and I have met him and I have emailed him a few times. Oh, wait. Did I forget to mention he’s a devout Christian? He has helped numerous people who have come to the conventions struggling with many issues, including suicide. I have heard of him playing the piano at these conventions and singing worship songs. You can watch videos of him online talking to kids at these conventions about Jesus. We have with us a Gospel of John CD that he gave us personally with him reading the Gospel. If you go to his website, he makes it no secret that he is a Christian. I say this because many of us do know fantasy and Mignogna does as well. We have elements of fantasy in our literature and stories because we know the real world is fantastic. We know that there is more than the material realm that we see every day. Arms should want to affirm and celebrate this. Arms also says part of Pokemon is saying “My will be done” instead of “Thy will be done” on page 33. Yet if this is Arms’s point, it can be pushed to absurdity. The evening I publish this, my wife and I will be joining friends to see Christmas lights. We will stop somewhere for dinner. Are we sinning when we tell someone what we want to eat? We are telling the cooks in the kitchen “My will be done” aren’t we? The problem is only if our will contradicts the moral will of God. On p. 35, Arms quotes another pastor who says that Pokemon teaches about gaining power from crystals. Again, my wife and I were puzzled at this. We tried to think of a game of Pokemon where this happens. We could not come up with one. We suspect this is a pastor who does not know about the game and sadly, there are too many pastors writing about things they do not know about. On p. 40, he quotes Anton Lavey (And it’s Lavey, not Levey) who was the founder of the Church of Satan, as saying the fastest way to indoctrinate young people into the occult is through fantasy role-playing games. I saw that and immediately tried to find this quotation. I had no such luck. Arms gives no reference. Let me show a problem with that. Check this picture with a quote from Lavey about Halloween. There is a well-known Christian apologist who regularly shares this quote. Many people look at this and think this is a powerful statement. For me, as a researcher, I want to know when I see an unreferenced quote where it came from. I did some searching, but so did Jeff Harshbarger of Refuge Ministries, an ex-satanist. As expected, he never said it. There’s also a great danger with unreferenced quotes. One runs the great risk of bearing false witness about one’s neighbor. Yes. 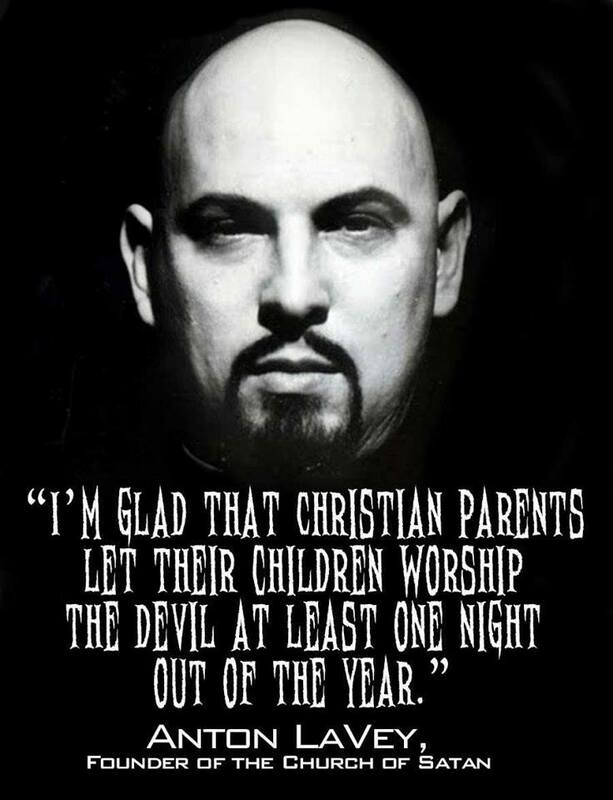 Even though Anton Lavey was a satanist, he was still someone in the image of God and thus, our neighbor. We are not to bear false witness against him or anyone else. Arms also has something to say about evolution which is in the games. Yet go to any biology professor and base your paper on evolution on the Pokemon games and you will fail immediately. Not only that, there are plenty of devout Christians today who hold to Inerrancy as well who either agree with evolution or have no problem with it. This isn’t just modern times. Go back to the past. Asa Gray, the Christian botanist, had no problem with it. Neither did the minister Charles Kingsley. Also, Mr. Inerrancy himself, B.B. Warfield, wasn’t concerned about evolution. You can find support from a framer of the ICBI statement like J.I. Packer as well. For those who assert God must have created humanity fiat to be special, we have an excellent counter-example. Namely, everyone of us. Psalm 139 says that we are fearfully and wonderfully made, but we all know there is a long nine-month average process of making each of us. It is not how we are made that makes us special. It is what we are. We are bearers of the image of God. There is an emphasis on the concerns about power on p. 46 as the game apparently tells children they have the power in their hands. Use it. Any child who thinks this applies to the real world I suspect already has some severe problems to begin with. There are also many things that can give a child a feeling of power. This is especially true for boys and not a bad thing. To this day, go through Wal-Mart during Christmas time and hand two grown men rolls of gift wrap. They will duel with them like they’re lightsabers. On p. 50, he tells us that Mickey Mouse, Daffy Duck, Bugs Bunny, and Popeye have been replaced with more sinister characters, yet even these characters would fall under concerns like magic and violence. Mickey Mouse, for instance, nowadays, appears in the popular Kingdom Hearts role-playing games. But even before that, one does not have to look far to see the magic in many Disney movies like Fantasia or short scenes like The Sorcerer’s Apprentice. Don’t forget the classic fairy tales that Disney has brought to life. How many of these also have Christian ideas of ending the conflict, which Arms speaks of? Do they not often have a warrior who slays the villain? Looney Tunes is also not without magic. One of the favorite cartoons of my Dad and I involve Bugs Bunny in a Transylvania setting where he gets in a magic duel with a vampire using those dreaded words like “Abracadabra” and “Hocus Pocus.” Popeye is the hero every time by eating spinach and then walloping the villain of Bluto. But who are these other more sinister characters? Figures like the Teenage Mutant Ninja Turtles, He-Man, She-Ra, Care Bears, Gummi Bears, The Smurfs, and My Little Pony. Arms at this point strikes us as one who sees satan behind everything. Arms has much to say about the phenomena with teen witchcraft and Wicca. I share his concerns. The problem is not Pokemon. The problem I point more to a church failing to do its job and looking to something like Pokemon to blame. The church has often failed to present a compelling view of Jesus in our era and does not build a good Biblical foundation. It’s more than just reading Bible stories to children today. We need to equip them with apologetic knowledge of how they can know the Bible is reliable and that Christianity is true. From there, he goes on to talk about Dungeons and Dragons. Later in the book, Arms says he has never played Dungeons and Dragons. This was not a shock. Many of the criticisms presented about the game have been found to be sensational and been retracted. Are there problems? Yes. There are also problems with solitaire since that can be an incredibly addictive game. How many people have redealt a hand on the computer until they finally won one game? Arms gives the case of Sean Sellers who says he got involved in wicked practices because of D&D. Is it really the cause of D&D or is it more the cause of Sellers himself? Fortunately, in response to the Pulling Report, we have the record of Sean Sellers himself. With the controversy over role playing games so prevalent today many well meaning people have sought to use my past as a reference for rebuking role playing. While it is true that D&D contributed to my interest and knowledge of occultism I must be fair and explain to what extent D&D contributed. When I was playing D&D I was not a Satanist, and in fact would have probably punched any Satanist I met right in the mouth. I was interested in witchcraft and Zen however. In doing some research at the library for a D&D adventure I was leading I happened upon other books that led to my study of occultism. After I became a Satanist I used D&D manuals for their magical symbols and character references for my initial studies. I also used my experience as a Dungeonmaster to introduce people to Satanic behavior concepts and recruit them into the occult. I do have objections to some of the material TSR releases for their role playing games. I think their excessive use of paganism and occultism is unnecessary and can lead to idealistic problems among some players; however, to be fair to TSR and in the spirit of honesty I must concede that D&D contributed to my involvement in Satanism like an interest in electronics can contributed to building a bomb. Like the decision to build a bomb, I had already made decisions of a destructive nature before I incorporated D&D material into my coven projects, and it was Satanism not D&D that had a decisive role in my crimes. Personally, for reasons I publish myself, I don’t think kids need to be playing D&D, but using my past as a common example of the effects of the game is either irrational or fanatical. So by Sellers’s own statement, whom Arms cites as an authority, Arms is either fanatical or irrational. Perhaps he is both. Also, unlike Arms, I will give my source. It is Michael Stackpole’s response which he says Sean Sellers helped with. We also recommend Arms read Confessions of a D&D Addict. On p. 63, Arms says that Pokemon does not have a Christian view of conflict-resolution. Instead, it is more in line with the New Age movement encouraging children to think of the collective instead of individuals. There is a great irony here because in doing so, they are much more in line with the Biblical worldview. Arms has grown up in the modern 20th century in the West and thinks everyone thinks like him. The Bible is in a culture where individualism was unheard of. The group was to be thought of first. One does not think about what is good for them, but rather what is good for their culture and their people. Arms is invited to check any of the scholarship from the Context Group and an honor-shame perspective to see this. It’s a great irony that in this facet, countries like Japan where Pokemon comes from are closer to the Biblical culture in that respect than modern America. Not only this, has Arms never seen the first movie? In the main battle of the clones in there, Pikachu, the mascot of Pokemon, responds to the slaps of his then evil clone by turning the cheek repeatedly. Ash, the main character, throws himself in between the two fighting forces when a powerful blast goes off being willing to sacrifice himself to end the conflict. Does Arms see these as wicked examples? On p. 64, Arms says in Pokemon the real pathway to peace is for the world to abandon all ideologies and religions. No backing is given for this incredible statement. He then goes on to say that to accept this premise would require rejecting Biblical beliefs like the deity of Christ, the resurrection of Jesus, salvation by grace through faith, etc. The fact that there are numerous numerous Christians like myself out there who have no problem with Pokemon and love Jesus show that this is inaccurate. Note in all of this, Arms never references an episode of Pokemon or the movies or anything of that sort. On p. 68, he returns to D&D saying the setting is the mind of the player. Why yes. The mind is the area of the imagination and D&D requires imagination. Imagination is something that sets us apart as well. We don’t see other animals creating works of fiction after all. At this point with his obsession about violence, conflict-resolution, obsessiveness, deceptive tactics, anything to win ideas, and occultism, I want to ask Arms a question. If he is wanting to eliminate anything having to do with anything like this, let’s get to the point. Will he speak out against professional sports? Violence? Has he never seen a football or hockey game? How many fights break out at hockey games? Many parents have got into fistfights at Little League games over calls made on their children. There are people today suffering physical damage because of football they played growing up. Some hockey players opt to have their teeth pulled out and replaced since they know playing hockey will knock them off. I have heard of someone having a part of their body cut off by the blade of an ice skate. Not only that, how many times has a professional sports team won a major event and the response has been rioting and looting in their home city? Conflict-resolution? It is often violent. In football, grown men tackle and climb all over each other for a ball. What about boxing and wrestling? Obsession? Do you know how many sports shows you can find on the radio? Do you know how many TV channels there are dedicated to sports? How many grown men can spend all day watching sports? How many people memorize trivia about their favorite sports? How many sports also rely on lying and deception? Do you not have to fake out your opponent many times? Is this not deceptive? This also includes winning at any cost. How many of us have heard about athletes who take steroids to win? And as for occultism, how many teams are named after animals? Could this be not seeking to embody the spirit of the animal? Isn’t that familiarism at that point? I am sure I can amass many more examples from professional sports. I am also sure Arms will not denounce them. Professional sports are just different somehow. Let’s go a step further. If we want to talk about Biblical conflict-resolution, why exclude violence? Isn’t that how the Canaanite conquest was resolved? Isn’t that how the Amalekites were to be dealt with? Isn’t this how God deals with His enemies in the book of Revelation? Arms also says on p. 69 that for the vast majority of young people involved in D&D, the line between fantasy and reality grows fuzzy. No backing is given for this statement. I would love to see which organization out there did a search of all the young people that play and how they determined the line between fantasy and reality is blurry for them. Arms quotes an authority familiar with the game saying, “The stuff that make me nervous is the over-identification with the characters. I’ve seen kids go into raging fits, scream for hours, and throw objects in anger when they lose a battle or when their character dies.” Arms gives no reference to this quotation. I have done a search but have not found it. I have no reason to believe this quote without a reference and a source. Does Arms expect me to believe blindly? Would it have been too much of a bother to quote the reference? Obviously, it was. It is not a surprise to see Arms go after Harry Potter, but as usual he does not know that of which he speaks. Arms even tells us about the four books out at the time in order of release. Prisoner of Azkaban, Chamber of Secrets, and Sorcerer’s Stone. Yes. Those are only three books. Yes. The last one to come out was the first one mentioned. Yes. There are instances in the book of good characters being killed by the evil wizards. Why? Because J.K. Rowling (Her name is spelled wrong at one point even by Arms) knows what world children live in. It is a world where real death occurs. Not everything is pretty and bright. We wonder if Arms has ever interacted with Christian scholarship on Harry Potter. There are plenty of Christians who see the good in the series. Most notable I think is John Granger. Granger read the first book after his pediatrician gave his daughter a copy so he could explain to her why trash like this is not allowed in their home. He immediately saw them as Christian classics. More can be found here. It is doubtful Arms will ever really research this. More likely, he sat down at his computer one day and put in a web search of something like “Pokemon, satanic” and went immediately with what he found. Similar happened for Harry Potter. Researching both sides and responding to real criticisms does not seem important to Arms who holds the view of what my ministry partner calls, “The godly man in authority.” The cause is just and necessary so one cannot be bothered with details like this. Ironically, it’s also an anything to win mindset. On p. 95, he writes about parents complaining that their children spend all day playing Pokemon. First off, parents need to be able to control their children properly. If you have a problem with what your kids are doing, try to exert some authority. Second, how about this for an idea? Play the game with them. Many kids would love it if their parents would take an interest in their games. On p. 99, Arms tells us about how his children talk to others about controversial subjects on the playground and get ridiculed. Arms tells them that this is what Jesus said would happen. We would be persecuted and this shows tht we are on the right track. Now let’s suppose I send this to Arms, which I think I will. He writes back and he gives a lot of criticisms. If I followed his logic, that means my thinking is on the right track since I am being persecuted. This is bad logic on Arms’s part. To say If you follow Jesus, you will be persecuted, does not equal, if you are persecuted, then you follow Jesus. If it is raining, the sidewalk is wet. The sidewalk is wet, so it is raining. False. It could be raining. It could be a walker spilled a drink. It could be a sprinkler system came on. It could be it was raining yesterday and the sidewalk is not dry. It could be flooding is going on in the area and the sidewalk is not only wet but underwater. You get the idea. On p. 114, he says the creators of Pokemon have now released Digimon. This is false. Pokemon and Digimon are often seen as rivals to one another. Again, this is basic research Arms could have done. He should not speak as if he is an authority when he has not done basic research. He also says a number of websites for Pokemon are proud of their linkage with D&D and another game called MAGIC. He quite likely means Magic: The Gathering, which I have never seen referred to as MAGIC. If guilt by association works, I encourage him to ban Parker Brothers and Playskool. Both of them have the backing of Hasbro who manufactures D&D and other such games. Parker Brothers produces Monopoly and Ouija Boards both. Guilt by association does not really work. On p. 127, Arms lists Isaiah 14 as an example about the life of satan. This is not about the devil. The figure in the account is a man. One can make a parallel if they want to, but I see it as no reason to think that is in the mind of Isaiah. This does not mean I do not hold to a real devil. I think the Bible is clear that he exists. I do not think he is talked about as often as people think he is. In conclusion, Arms’s work is really lacking. It is the kind of fanatical paranoia that gives Christianity a bad name. We can appreciate his zeal, but we know that Scripture has a problem with zeal not in accordance with knowledge and much of Arms’s work I think will drive more people away than it will bring them to the Kingdom. Now if you’ll excuse me, as I have said, my wife and I were gifted with a Nintendo Switch recently and she’s happily playing Let’s Go, Eevee! I think will go and join her. She loves it when her husband plays Pokemon with her after all.